My name is Daniel Alexander, and for 2 years, I have been working with the Mersey Gateway Environmental Trust (MGET) as a monitoring officer on their Beyond our Bridges project. Each month, I will bring you fresh insights on the day to day aspects of the project, news, and most importantly, encounters with wildlife! Be sure to keep an eye on our social media, where I will be posting regular snapshots of a day in the life of a monitoring officer. 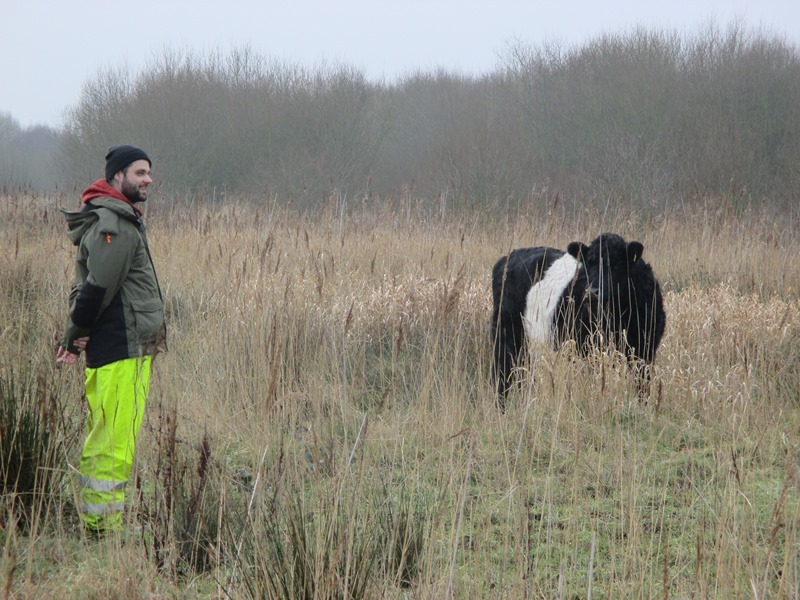 Set up in 2015, the 4-year project aims to bring the wetland habitats in the Upper Mersey Estuary (UME) into a good state of ecological management. We’re doing this using a range of habitat restoration techniques on both the saltmarsh, and reed beds in the area. From the get go, we have been committed to the scientific rigour of the project, and I have implemented a monitoring programme which will determine the impact of the works on habitat quality and the resultant changes in biodiversity. The monitoring is a central aspect to the project as not only will our findings steer the work the MGET is doing in the UME, it will enable a benchmarking of habitat conditions for future conservation work, and the provision of long term biological records. We’re mainly interested in the impact of the restoration works on the avian communities in the area, as this part of the river is well known to be important for both resident and migratory species due to the range of habitats that are present. Large portions of the land cover in the UME are the mudflats that provide a dense source of invertebrate food for wintering wading bird species such as lapwing and dunlin. 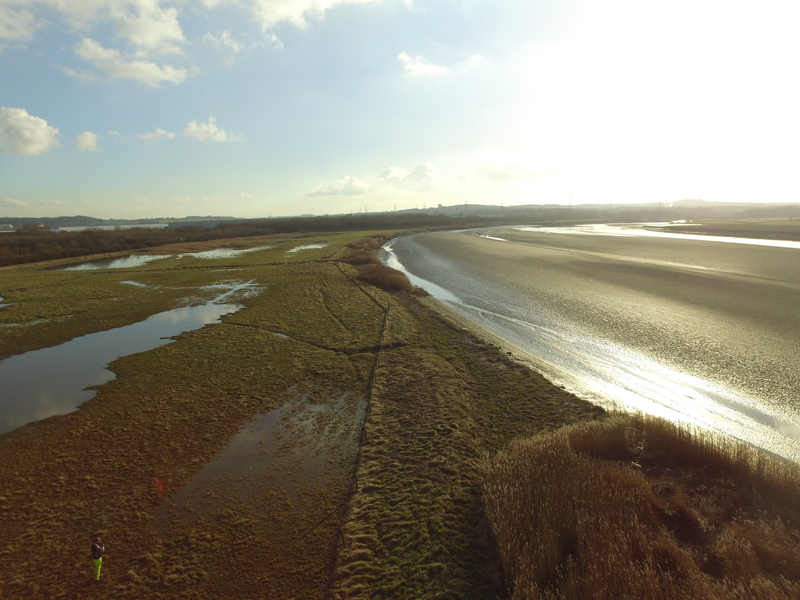 The saltmarshes, which account for approximately 20% of the area, provide a matrix of habitats within themselves; scrapes, ditches, reed beds and a dynamic sward of saltmarsh grasses provide nesting conditions for a wide range of species. These include the iconic species such as skylark, and lapwing, and several species of reed bed dwelling warbler that migrate each year from Sub-Saharan Africa to breed in the UME. The UME serves as an important flyway and a place to stopover for many migratory species. This means the ensuring quality habitats and food sources are of key importance to the survival of the migrating birds. Global pressures however, have manifested through habitat fragmentation, land conversion, and a changing climate and all are contributing to a downward trend in many of our most iconic species. We need to do all we can to stay these trends, ecological restoration projects such as this one can lay the foundations and improve the network of ecosystems where species can thrive. We’re already seeing successes with this project, and in my next post I’ll highlight those successes and introduce you to some of our habitat creators and their work.